It's time for the Lexington, NC Barbecue Festival again. It's an annual event scheduled for October 24 this time, and this is the 26th year. 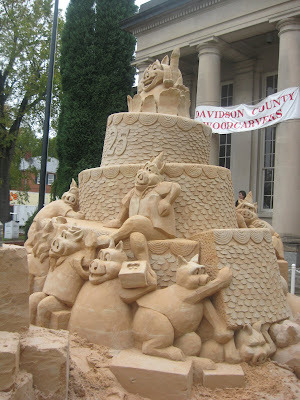 One of the highlights each year is the pig themed sculpture made of sand. It's always impressive. Yum. The barbcue sauce is simmering and ready to be poured on the slow cooked pork which is served on white bread buns with slaw. They also have curly pig tail fries to round out the signature festival meal. But, there are lots of other great foods at the Lexington BBQ Festival. 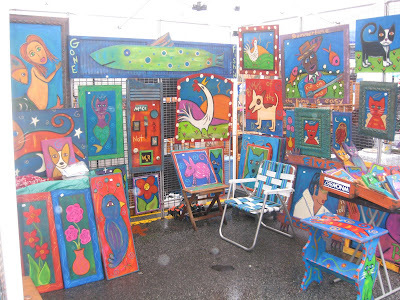 There are many artists and craft folks at the BBQ festival each year, so it's fun to do some holiday shopping while enjoying the barbecue pork. 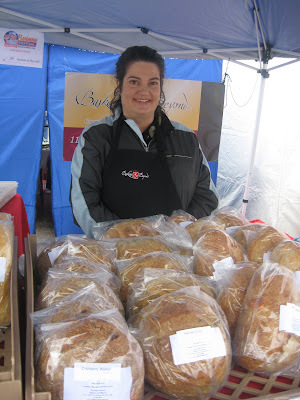 I always look for the fresh made bread at the Barbecue Festival and take home a loaf or two for supper or for the next day. Hard to beat home baked bread. 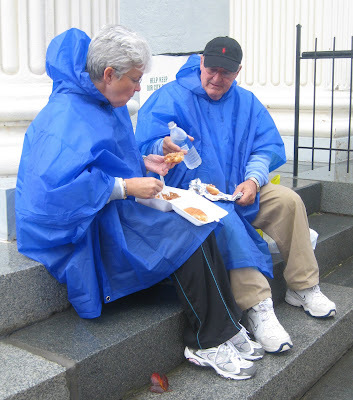 Last year it rained for the 25th annual Lexington BBQ Festival, so everyone is hoping for sunny skies this year. 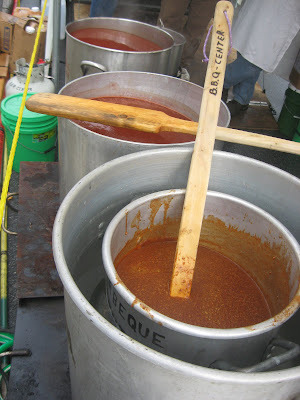 For information and tips on the Lexington, NC Barbecue Festival, check out Yes You Can Grill - my grilling web site. Great info! I went to your site and read about the festival. Seems like a fun time. Wish I could be there (and also celebrate MY birthday which is the 15th!) but I guess I'll just think about you as you have another pork sandwich! I may visit our festival here, the "Apple Scrapple" festival in Bridgeville, DE. Ever had scrapple? Yep. I was not too keen on scrapple. Now, livermush (kind of in that family), I do love that. Maybe I just got some bad scrapple, but I did not like it much at all.